We offer an exclusive range of CWT (COUNTER WEIGHT) are manufactured using best quality raw material in compliance with international quality standards. 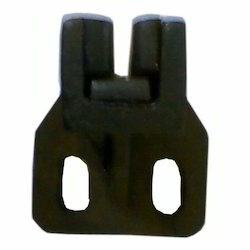 These are used in different industrial applications to offer an exclusive range. Our range is available in different specifications and that to at reasonable rates. These are known for their sturdy construction which ensures long service life even in long run. We offer an exclusive range of Shoe CWT which is made using best quality material. These are popular for their tensile strength and corrosion resistance surface. Our range is available at affordable rates. Our precision engineered range is manufactured under the guidance of our valued professionals to offer an exclusive range. Our exclusive range of CWT. Base Big-AC2 is manufactured using best quality material which are available in different sizes. We offer our range in different innovative designs to offer best range. Owing to the advanced infrastructural unit has all the requisite machines for producing bulk consignments. These are used in Lifts, Escalators and Elevators. 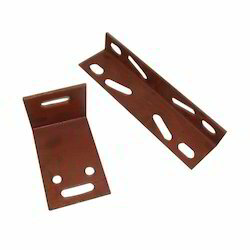 We also offer an exclusive range of CWT Base Big-AC2 Brackets which are manufactured using best quality material to offer an exclusive range. These are known for their accurate dimensions and sizes as requested by our clients. 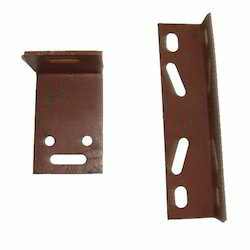 These are widely used in Elevator, Lift and Escalator. These are known for their optimum performance even in long run. Our manufacturing unit has all the requisite facilities to produce bulk consignments within specified time. Looking for CWT (Counter Weight) Products ?